Momo Design watches come from an Italian firm with roots in the automotive industry and it shows in their designs – big and bold, with emphasis on sporty styling and chronograph features. While Momo Design watches aren’t going to suit all tastes, they’re definitely going to appeal to those who like their wristwatches big and busy, with oversized cases and attention-grabbing face designs. Build quality is great, and pricing for many models falls into the reasonable range, so there’s a lot to like about the brand. Read on for the rest of our Momo Design watches review. The build quality is good; cases are made from stainless steel, titanium and even magnesium. The watch faces are protected by mineral crystal on lower-end models and rock-hard, scratch-resistant sapphire crystal on the more expensive versions. Water resistance varies by model, but many boast 100 meters or better of water resistance, making these watches quite solidly constructed timepieces. The movements vary by model. Lower-priced models use highly reliable quartz electronic movements, which have the added benefit of requiring minimal maintenance. 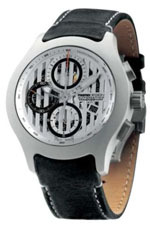 More expensive Momo Design watches have mechanical movements, most of which are self-winding automatics. A few have manually-wound mechanical movements, which are ideal for those who truly like their watches old-school. We haven’t seen much in the way of technical innovation in this brand; they seem to be more about styling and using tried-and-true technology in their timepieces than they are about creating new features or leading the industry. That said, these watches are certainly visually appealing, and the company makes a good effort to utilize modern features in their designs. The styling of Momo Design watches is definitely on the sporty side; if you like elegance, traditional styling or bling, such as diamonds or gold, you’re going to be left out. On the other hand, if you like big, oversized cases and chronographs, you’ll be right at home. Displays are all analog, even on the quartz models. While colors favor black and silver, a few models do have splashes of color on the face. A few models also offer a small window on the face to allow you to see the moving balance wheel, though there are not currently any skeleton models in the product line. There are more models for men than women, though the women’s models are a bit more traditional in their styling. 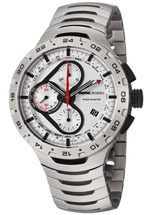 Additional features in the product line include chronographs as well as date complications. The care and maintenance will vary by model. If you have one with a quartz movement, you’ll need to have the battery replaced every two years or so. You’ll want to store your watch in a cool, dry place, and keep them away from extremes of temperature. If you have a mechanical model, you should have it inspected by an authorized service center every three to five years to ensure that it’s working correctly and that it doesn’t have any worn parts. With proper care, you’ll find that your watches will run well for many years with few, if any, problems. While the build quality the brand is exceptional, the warranty is merely average. By “average”, we mean, “pretty much the same warranty as everyone else.” The warranty offered is for two years against defects in materials and craftsmanship. Probably 90% of all watchmakers offer a similar warranty, and it’s more than adequate, as these watches are thoroughly tested at the factory prior to shipping and genuine factory defects are likely quite rare. You’ll find that as luxury timepieces go, prices are rather broad. Most makers target one segment of the market in terms of price and stick with it. This company’s watches, on the other hand, are priced from a relatively modest $400 or so to nearly $10,000, which is quite a wide range that is going to draw in a more diverse group of buyers than most brands usually encounter. Lower-end models are quartz but are still quite well made, while the more expensive models in the line tend to be limited edition models with low production runs, often in the hundreds of units. We haven’t yet seen a lot of interest the brand from collectors, but then again, this brand is only a few decades old. With mechanical movements and interesting styling, collectors could eventually come around. For now, we cannot recommend buying these watches as an investment, but it’s possible that they’ll appreciate in value with time. You can find the brand for sale at a number of authorized retailers, which are generally high end jewelry stores. They’re much easier to find in Italy, where there are far more retailers for them than there are anywhere else. On the other hand, you can also find them for sale on the Internet, and that’s where you’re going to have the best luck if you want to buy them at a discount. We’ve seen them discounted as much as 83% at some online retailers, so you definitely want to look online if you want to find a bargain. This brand is not going to suit all tastes, as they’re rather short on bling and long on sports styling. 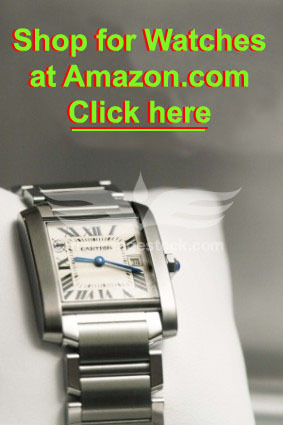 Women’s models are few, and if you like smaller wristwatches, you’ll find model selection to be thin. On the other hand, there’s lots of interesting styling in the lineup and they’re well built and for the most part, reasonably priced. 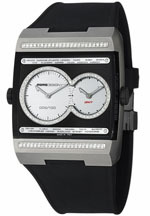 If you want something Italian, rather than the ubiquitous Swiss, you might want to give Momo Design watches a look.